Quirky Group brightened the day of Shoreditch locals and commuters when our Brand Ambassadors gave away thousands of free cans of Fentimans Rose Lemonade, as part of the brand's Valentine's Day Campaign #RosesArePink. Every passerby was offered a cold can of Rose Lemonade and a flyer with information about the drink and a poem in which Fentimans had confessed their love to dedicated sippers. The campaign took place with a bespoke mural as the backdrop. The compelling design spent over a week on the Shoreditch Art Wall in Great Eastern Street, a famous part of East London's street art scene. Quirky Group were responsible for the project management of the campaign, and our Brand Ambassadors were excited to tell everyone they met in Shoreditch about the brand and the awesome products they were offering on the day. At Quirky Group we strongly believe that people remember people. The key to a successful campaign is Brand Ambassadors who not only know the product inside out, but also always have a smile on their face no matter what. 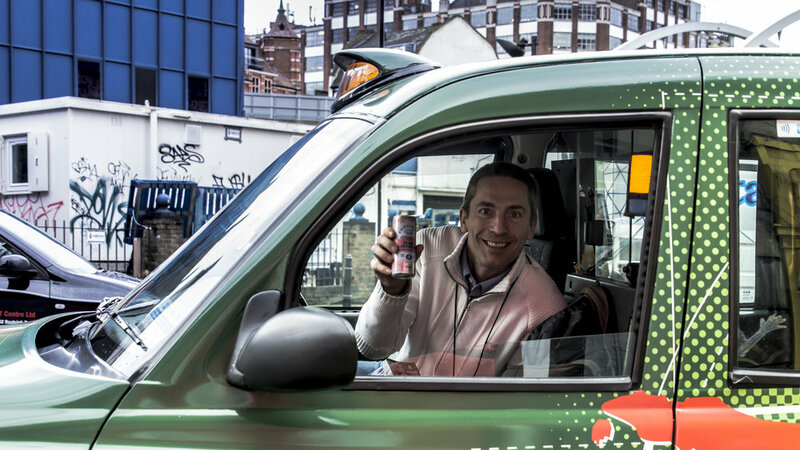 Our Brand Ambassadors handed out drinks to thousands of locals, tourists and commuters, as well as people in a few black cabs and even a thirsty ambulance driver. Sampling is such a powerful experiential marketing tool as it is truly memorable, with a number of people stopping to tell us how a can of Fentimans and a smile had made their day. Let Quirky Group craft an immersive brand experience for your next event. Get in touch at info@quirky-group.co.uk to discuss experiential marketing and get a bespoke quote for the project management and staffing of your next campaign.